For families or fussy home chefs, these stylish appointed kitchens are perfect for generous entertaining and the to-and-fro of everyday life. Luxurious marble-inspired eat-in islands are inviting spaces to gather with friends and family. Plentiful storage features soft-close drawers and cupboards placing everything at your fingertips. Chic mirrored splashbacks, designer LED lighting and custom chrome handles add glints of sparkle and reflection for an exceptionally polished finish. 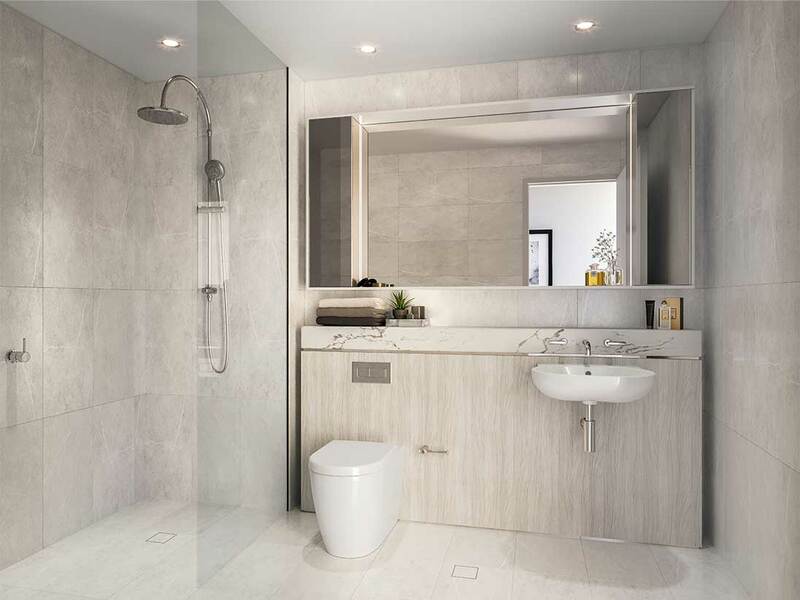 Relax and replenish in Ramsgate Park’s elegant ensuites and bathrooms. Superb large format marble-look floors and walls with timber accents create a luxurious backdrop in the bathrooms where frameless glass showers and plentiful designer-lit mirrored cabinets form an indulgent private space to start or end the day. From here the views are breathtaking. 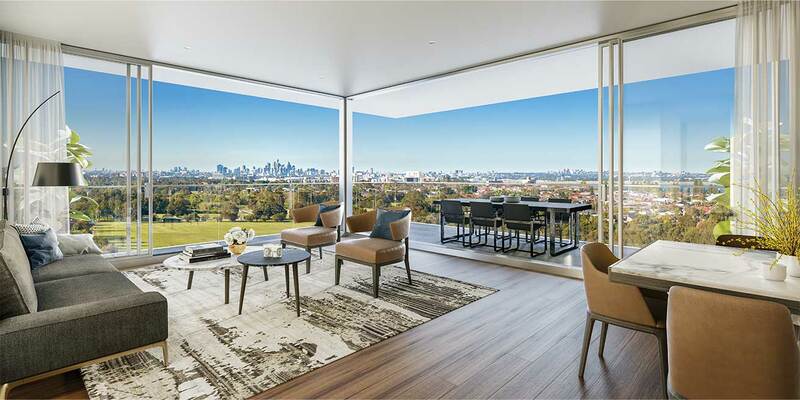 Walls of glass, flowing indoor-outdoor balconies and roof terraces for some upper-level apartments make the most of stunning outlooks to the sparkling waters of Kogarah and Botany Bay, the city, surrounding parks and beautifully manicured golf greens that skirt your Ramsgate Park home. Choose from a diverse range of living options including one, two, and three bedroom apartments, superb two-storey apartment designs, and three bedroom family terrace homes with their own private yards.